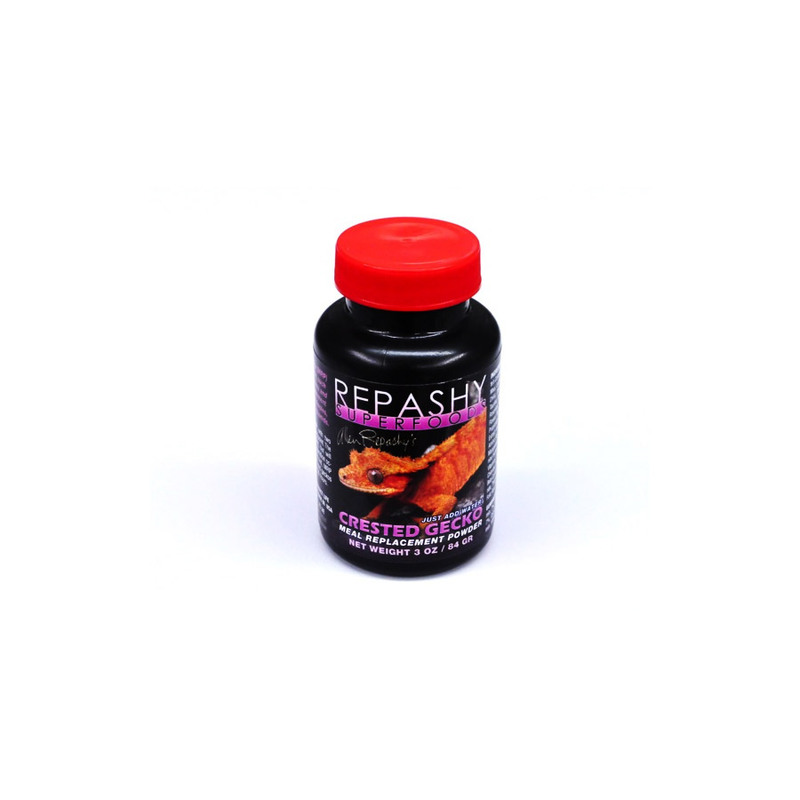 Repashy Superfoods Crested Gecko 85g | Livefood UK Ltd. The original Repashy meal replacement powder for all fruit eating geckos such as Rhacodactylus, Phelsuma and Geckko. Also great as a supplement for Anoles, Skinks, Iguanids, etc. Simply mix with water to make a thick paste and feed in the evening. Mix one part MRP with two parts water by volume, as a starting point. The mixture may appear watery at first, but will thicken after several minutes. If separation occurs over time, use less water. As fed, MRP should be like a thick milkshake. Feed geckos in the evening and remove within 36 hours. No further supplementation required for Fruit-Eating Geckos when feeding MRP. However, if you choose to feed alternately with insects, we recommend gutloading with Repashys SuperLoad and dusting with Repashys Calcium Plus every time insects are used. Refrigeration will extend product life.